Collectively, this would have a huge positive impact on our local economy.Their purchases would generate more than $42 billion in revenue. Become a VIP of Shop Claremont and get Rewarded! Receive special deals, coupons, and event information delivered directly to your email! 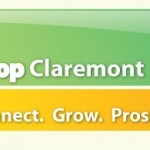 By signing up you agree to be added to Shop Claremont's email list, as well as LocalLoyaltyReward's weekly update. We do not buy, sell, or trade our email lists.